The seventeenth century Parish Church of St John and St John occupies, along with the Basque Museum, the site which in its day was an extramural Jesuit foundation in the Old Quarter of the city: the Jesuit Church and the College of San Andrew. 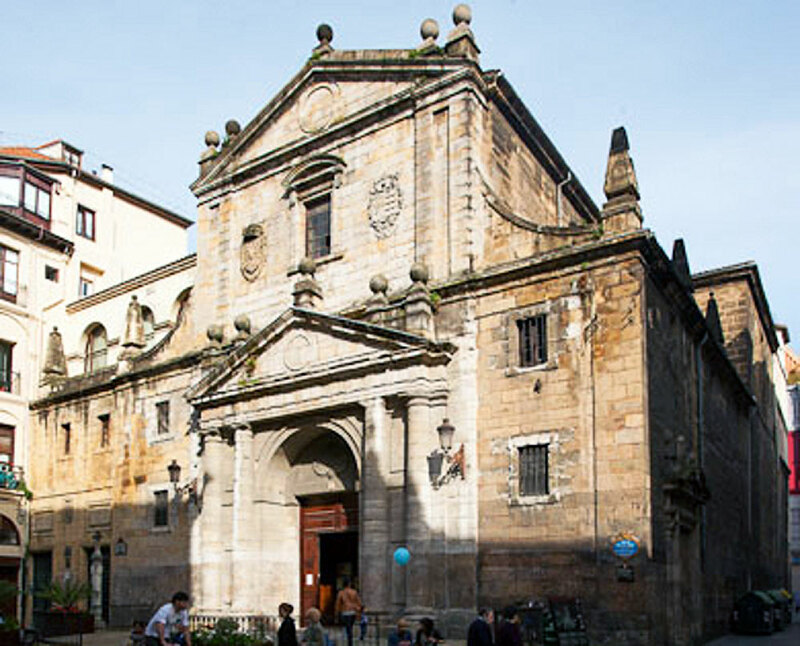 Subjected to successive transformations, this Baroque church with Renaissance elements has an altar dedicated to the Sacred Heart, unique in the world. After the floods of 1983, it was restored by architect Miguel Ángel Corcuera. It is a model Jesuit church, with a floor plan in form of a Latin cross in a rectangle and a nave with chapels on both sides.